Advent starts this weekend. Like the onset of a new season or the New Year, it is a beginning. A time to prepare our hearts for celebrating the birth of the Messiah. It is a time to renew who we are as children of God. A time which allows us to truly celebrate Christmas for four weeks, rather than just a single day. It is every Believer’s cry from the depth of our heart as we ask Jesus to take over our lives. We need Jesus to be born in us, fully and completely. This new little book is designed to help you celebrate the joy of Christmas by looking back from Mary’s perspective. It takes you into the times and culture of her day. Francesca Battistelli recorded the song: Be Born in Me. In the first verse there is a lyric that says “Somehow help me see with Heaven’s eyes.” What does this mean? For starters, it means seeing the potential and possibilities of someone, who the world sees and rejects, with God’s eyes. It means seeing the “least of these” (Matthew 25:40) and accepting them. God sees and accepts everyone who comes to Him, no matter our story. Harlot. Beggar. Murderer. Adulterer. Thief. Pharisee. Sinner. You. Me. Once we’ve bowed our knee to Jesus, God sees us from Jesus’ point of view. All redeemed. All restored. He sees us the way He created us, like a new born baby, fresh, like a new day with no mistakes in it. May I encourage you as you go through the day today to look around and ponder what you see. The crowded shopping malls. The crazy traffic. The homeless on the corner. The eyes of hope at your dinner table. Can you see as God does? Yes. When He is born in you. The booklet is divided into five sections and includes discussion questions so you can use in a weekly small group, family devotional or class setting. There were ten of us… we were forced to live just outside the gates of the city. One by one our group had grown to its present ten. I think I was the fourth or fifth to join the community. We spent most of our days begging for scraps of food by the road under the shade of a single tree. At night we huddled together and slept in the dust around its trunk. My family had last seen me three years prior. I’m not even sure how I got it… my skin began to itch and scratch… my fingers and toes began to look different, blood oozed from the simplest scrape. I had heard about leprosy… who hadn’t? Believed that those who had it were responsible for it somehow… surely they had sinned or chosen a lifestyle that wasn’t appropriate. Next thing I knew, I was scolded, yelled at, spit upon, cursed at… told I was “unclean!” And I was forced to the edge of town. For 12 seasons I had learned to deal with this awful affliction. The touch of my wife? Gone. Holding hands and walking with my daughter? No more. Wrestling with my son? Not a chance. Oh, how I longed for their touch. For anyone’s touch. I had little in common with the others. They were Jews. I was from Samaria. As castoffs, they observed their traditions as best they could. I just wanted to be normal again. One day the Teacher they called “Yeshua” walked by. We weren’t really sure what He could do for us. After all, what could anyone do for us? It was so unfair. It wasn’t my fault I was unclean! Oh, how I wanted to be clean… but no one ever recovers from the incurable. We kept crying out: “Have mercy! Have pity!” though I, for one, did not know what He could do. And with a second and third look, one at a time, we each began to realize the lesions had disappeared. One’s face was not blemished. Another’s hands were no longer bloody. The crusty sores up and down my legs were gone. What was happening? The pace quickened as the whole group began to see a miracle right before our very eyes. We were being healed! We had been healed! Suddenly I stopped in my tracks. The others ran ahead. I turned and looked back and saw the Master with a grin from ear to ear. Such joy! Such compassion… I looked as the Nine galloped toward the temple. “I must go back and say thank you!” I said outloud to no one in particular. “Praise God!” I shouted as I looked and saw my now-healed, outstretched hands. The thoughts started to swim in my head: Do you know what this means? I can go back and tackle my son. I can squeeze my young daughter’s hand. I can hold and caress my bride again. “Praise God!” I shouted over and over. Not being a Jew, I didn’t fully grasp what he was saying… I was so thankful… I was healed! I was going home! I had heard both Jews and Gentiles talk about being saved. It is something everyone longs for, I suppose. I’m not really a religious man… but do I want to spend eternity with Almighty God? Absolutely. My wife could not believe her eyes. My daughter squealed with delight. My son, now a young man whom I hardly recognized, gave me the biggest hug of my entire life. Ah, their touch… so sweet. That was 25 years ago. I’m still clean… not a trace of the disease ever since. And I still believe that what the Teacher did that day — He touched me with His words — is reason to believe He will touch me for all eternity. My interpretation of Luke 17:11-19. 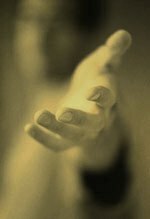 May you be one to give thanks today, and every day, for His words, His touch! New Book for Advent (my first! ): Be Born in Me. A little more than a year ago, the worship planning team at Oak Hills Church began planning our Advent season. Worship Minister Jeff Nelson recommended a theme around the song, Be Born in Me (Mary). It was written by Bernie Herms and Nichole Nordeman and beautifully recorded by Francesca Battistelli. It is on the album Music Inspired by The Story from Word Entertainment. I admit, I was hesistant at first. “We’re going to preach a song for Advent?” But the more I meditated on the words, the more I let the Holy Spirit work in my heart, the more enthused I became. Each week the ministers at OHC’s five campuses would unpack a certain line from the song. I had the honor of preaching all four weeks at the North Central Campus. This booklet is essentially that sermon series. Have you ever prayed the prayer: “Be Born in Me!”? Can you see her? The angel Gabriel had just left this young teenage girl with the news that in today’s language is an announcement that would “rock her world.” She would become pregnant. The Biblical text says she was “confused”  or “shaken.”  She was engaged to a man named Joseph, of the lineage of the Tribe of David. She had a deeply devout faith and had found favor with Adonai. Let’s take a close up look at four lines from the song, four prayers. They were cries from Mary’s heart. Can they be ours? Somehow help me see with Heaven’s eyes. Make my heart your Bethlehem. My prayer for you this coming Christmas season… that you will be able to embrace these prayers and believe all that they capture. May you let Jesus be born in you! 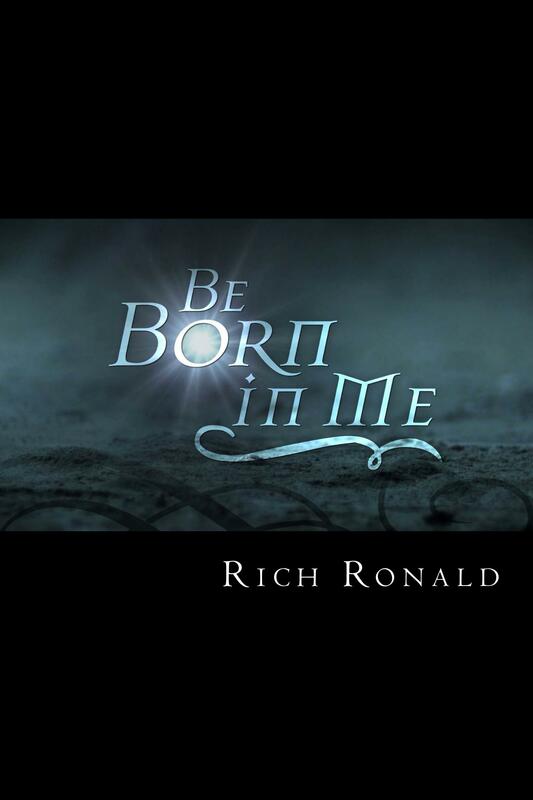 Author richlyspeakingPosted on November 10, 2012 December 12, 2012 Categories Be Born in Me, UncategorizedTags Advent, Be Born In Me, Devotional, Jesus, Mary1 Comment on New Book for Advent (my first! ): Be Born in Me. 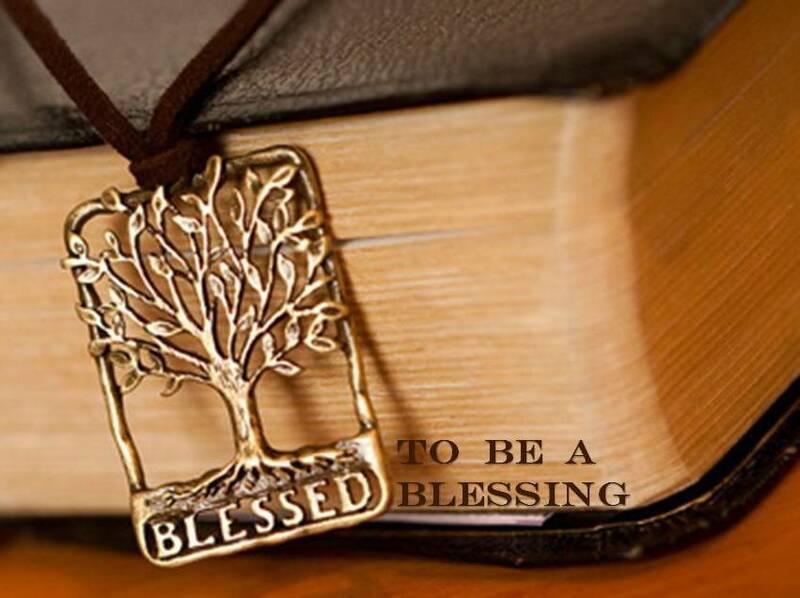 We are all blessed, not so we can hang on to the blessing but, rather, so that we may bless others. Jacob is the third father of the Patriarchs of the Faith. Remember Rebekah, the wife of Isaac? The Word says that Rebekah had twins as a result of the fervent prayer of her husband. The first born was Esau, but the second, who was born at the same time was Jacob…which means “heel” because he was grabbing on to the heel of his older brother as they were born. Twice Jacob does what he must in order to gain the edge over his brother. Esau was a wilderness man. He loved hunting and the outdoors. Jacob not so much. But all his growing up years Jacob was jealous of the birthright of his older brother. Genesis 25 tells the story. One day Esau came in from the field and saw that Jacob was cooking stew. The hunter asked for some and Jacob would only give him something to eat if Esau would give Jacob his birthright as a first born. Esau shrugged off the importance of being the first born, and because he was very hungry, gave away his rights. Some have suggested that Jacob stole the birthright or tricked him. That was the first step in getting what he wanted. Later, with their father old and blind and dying, Jacob tricked his father into giving his blessing, something that was deeply significant in the Ancient Days. Isaac indeed blessed his sons… but gave the blessing of the first born, to the second born, and the blessing of the second born to the first born. And there was nothing Esau could do about it, because earlier he had given away his birthright for a bowl of soup. And, so there is a parallel in this generation similar to that of the generation of Isaac and his half brother Ishmael.